Although the correct prescription is important, it should not be the only concern when choosing a contact lens, as a proper fitting contact lens is the first step to safety. Contact lenses come in many different materials, curvatures and diameters so that ophthalmologists, as well as optometrists, can custom fit a contact lens to your specific cornea. Your cornea can naturally change shape over time. As your cornea changes shape, so can the fit. This is one of many reasons why annual contact lens evaluations are so important. 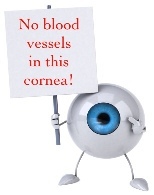 This means that the cornea is not nourished by blood vessels. Instead, the cornea gets its nourishment from your tear film and from oxygen. It is this reason that makes the proper fit of the contact lens so important. When you blink, your eyelid makes contact with the contact lens. A properly fitting contact lens should be well centered and should allow enough movement upon blinking to allow oxygen and the tear film to nourish the cornea. If a contact lens is too tight, movement of the contact lens on the cornea can be restricted, which doesn’t allow these nutrients to reach the cornea. Both movement and signs of lack of oxygen should be evaluated by a qualified eye doctor. If the contact lens is determined to be a well fitting lens, annual evaluations are recommended. 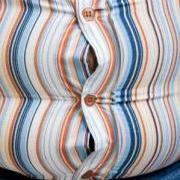 If signs of malnourishment are detected, more frequent visits, to monitor changes, may be necessary. When you sleep in contacts, the lenses do not move which means the cornea is deprived of oxygen and nourishment from the tear film during sleep. This can lead to blinding infections, which may not be reversible. Lubrication when wearing contact lenses is a MUST! Even with a properly fitting contact lens, if the cornea becomes dry, the lens can stick to the cornea, instead of resting on the tear film. When this happens, movement of the contact lens is restricted which prevents nourishment from reaching the cornea. Dryness can also lead to blinding infections. If dryness is severe enough, it can create dry spots on your cornea which can act as conduits into the eye for bacteria and fungi that can be present on your contact lenses. 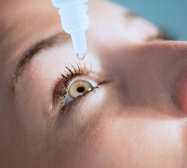 Therefore, all patients should use rewetting drops that are safe for contact lens wear, a minimum of 4 times daily, when wearing contact lenses. This will allow the contact lens to move on the eye, even in dry conditions, which still allows nourishment to reach the cornea. Additionally, when doing computer work, your blink rate decreases 60% which causes your eyes to get dry more quickly. This means the use of rewetting drops needs to be increased to once every ½ to 1 hour when on the computer. Click here to read more about this topic in our November 2012 blog entitled: Dr. Mandel’s Reading and Computer Tips. 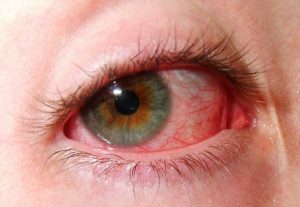 Although routine annual eye exams are the minimum recommendation, if you have a sudden decrease in vision, or if your eyes become red, light sensitive or irritated, these could be signs of an ocular emergency requiring immediate care. Proper care of contact lenses is critical to safety. Contact lenses are not sterile. They have the potential of becoming petri dishes of bacteria sitting on your corneas. Your best defense against this, and therefore against potentially blinding infections from contact lenses, is proper care. The most important component of this is proper hygiene. 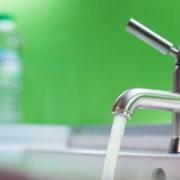 You should wash your hands before inserting AND removing your contact lenses. If your contact lenses are not daily disposable lenses, disinfecting lenses in a clean contact lens case is equally important. Be sure that your contact lens solution is kept clean and tightly capped to prevent dirt and bacteria from being introduced into the bottle. Lastly, the solution in your contact lens case should be changed daily and the case should be cleaned and allowed to air dry between insertion and removal, daily. Lastly, but most importantly, DO NOT clean or store your contact lenses in tap water, and DO NOT swim in your contact lenses. A particular amoeba, known as acanthamoeba, commonly found in fresh water as well as chlorinated pools and jacuzzi’s, can cause blinding infections. 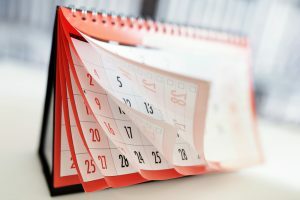 Follow the recommended replacement schedule. There are multiple types of contact lenses available, and they each have a specific, manufacturer recommended, replacement schedule which ranges from daily disposables to 1 year replacement lenses. This schedule is determined by factors such as lens material, oxygen permeability and water content. It’s important that you follow the replacement schedule closely to avoid degradation of the lens material, which could lead to corneal abrasions as well as serious, potentially blinding, infections. Following the above recommendations can help keep your eyes healthy and in good shape for contact lens wear. Remember, you only have one pair of eyes – keep them safe!